Many people associate car dealerships with stress, anxiety, and high-pressure situations. However, at Acura of Huntington, this couldn’t be further from the experiences we share with our customers each day. We promote a friendly, family-oriented atmosphere, and with a little bit of preparation, you can make the most of your time with us every time you visit. On our website, please feel free to take advantage of the many tools we implement. You can value your trade in just seconds, crunch numbers with our payment calculator, and even apply for financing—all from the comfort of your own home. You can view our entire inventory of new and pre-owned Acura models online and learn about the various features each has to offer. If you can narrow it down to just two or three models to test drive, you can maximize your time with us and focus on finding the best fit for you and your budget. If you have children, you’re more than welcome to bring them with you. We do suggest bringing some games, snacks, or even a family member to keep them entertained while we talk numbers with you. We are happy to offer Acura financing, and you can even apply for pre-approval on our website. However, what would make the process easier still is coming by our Acura dealership near Long Island, NY knowing what you can afford to pay monthly and as a down payment. 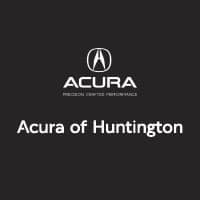 Visit Acura of Huntington today to start the process of buying a vehicle with us. Our Acura dealers serving Bayshore, NY are happy to accommodate any needs you may have, and we look forward to helping you find the vehicle that fits you and your family’s needs.